Sam says the single biggest challenge facing sales reps today is the battle to get upskilled today in sales roles. Companies are not investing in training programs, and it is up to the rep to keep up with tools and skills. Information is more available than ever and customers are accessing it. We need reps to keep up with information and tools. 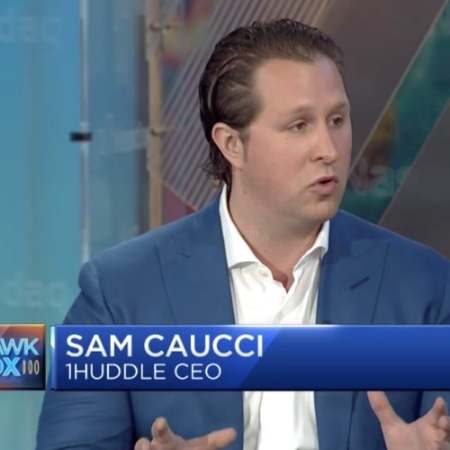 1Huddle is a workforce training platform to help companies get their reps upskilled and ready to work. The training takes place on a game platform. Sam explains the games. They can be single player games of about three minutes or large group multiplayer games of about 20 minutes. Companies deploy new games on a weekly or monthly basis, as they need for how often their products change. Sam explains how the games give managers a platform for coaching. The modules can be edited as easily as a spreadsheet. After the initial launch, companies manage their game design internally. The platform is simple enough for managers to use without significant training in how to use it. There are more distractions today than ever before, and employees tend to have little company loyalty. Recognition is essential for engagement with today’s workforce. Find the way to get the best from your team. In games, we have a ‘restart’ button. In work, we can’t just restart with a customer. We have to be aware of the consequences of our actions. There are no easy fixes. Sam suggests ways for recognizing or regarding your team members: the best parking spot for a week, a small gift, dinner with the boss. There must be an achievement tied to the reward. 1Huddle holds weekly team contests. Be thoughtful with the rewards. Tie them to the company culture. Sam gives examples.